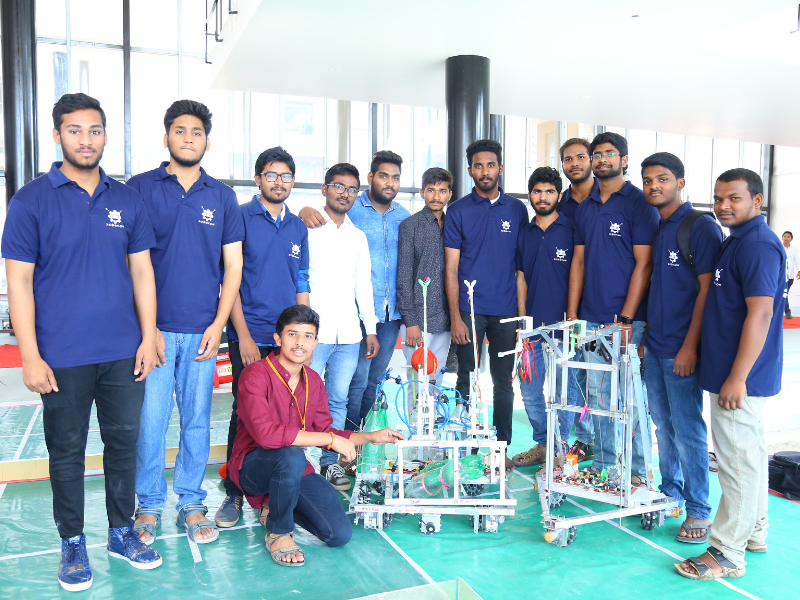 Center for Design was established in year 2017, with aim to inculcate Design Thinking into minds of Engineering students to enhance their creativity and Innovative skills which helps them to establish their own values by solving the problems of society. To be a successful Design facilitating body that contributes towards a better Engineering outcome. To enhance and enrich different walks of life, by providing design - oriented engineering practice. 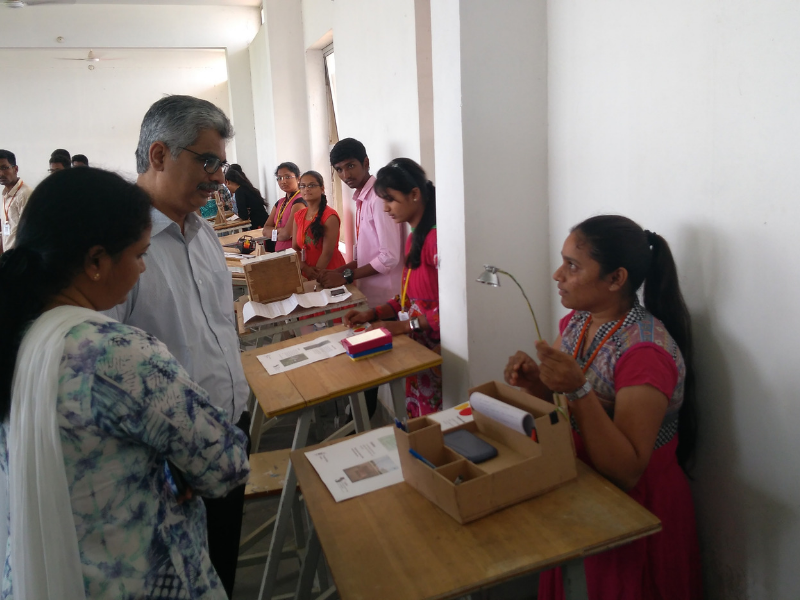 To contribute to Engineering Education through Design Centric curriculum. To encourage students’ capabilities in Creativity, Innovation and Entrepreneurship. To bridge the gap between Industry requirements and students’ interdisciplinary expertise. To recruit, develop and retain outstanding innovators, faculty and students who can contribute to the vision. It has Artists, Technocrats, Logical thinkers, Designers and Engineers - who can correlate technology with innovativeness at reasonable cost, to come up with good, simple and functional designs. A multidisciplinary and resourceful teams constantly and consistently working on providing valuable design services, to the academia. We believe that the new age engineers, who are an untiring work force with young and energetic minds, are like rockets. They need a proper direction, to channel and exhaust their internal combustion, so as to march towards success. We, at Center for Design, are committed to help the students move towards success, by channelling their workforce in the right direction. 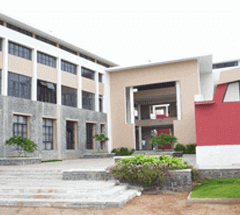 We add our value to the engineers, and subsequently to the institute, through different academic programmes we offer. Through the programmes, we mentor them on how to realise their own potential, through self-exploration and expression, peer learning, and encourage them towards contributing their value to the society, thereby aligning ourselves to the institute’s tagline – Innovation, Creativity and Entrepreneurship. We are a team of designer - we imagine and make. We also research and think. We help. Design to us is a central, driving process - that solves a problem that realises a mission. Design is about progress. It is the conceptualization and creation of new things - new ideas, gathering information making posters, products, places, signs, systems, services, furniture, websites, and more. Design, as a process, can be positioned and used at any level of an organisation, including business - decision making, building strategies that enable innovation and create effective services, products, communications, environments, and brand values, thereby providing organizational success. It does add value - by finding new opportunities to grow and expand, ensuring productivity - with the help of creative understanding and processing. We take pride that we believe in practicing a holistic approach towards any aspect of life, be it social sense, human aspects or scientific reasoning. Our Designteam works together to add value from different collaterals, and render services and products that ensure a great experience in usability, functionality and other attributes, only after a good amount of user and market research is done.